If you have a DIY project going on in your garage, you wouldn’t want winter to spoil it or limit your timeline. A garage heater is the best way to heat your space. Now you won’t mind entering the garage, even if it’s very cold outside. Before you purchase a garage heater, there are certain details you should know to help make your selection easier and wiser. It’s best to choose a garage heater based on your project. If you install the wrong heater, it can pose risks or affect the outcome of your activities. It may be best to install more than one heater and switch between them for a better working environment. Forced-air heaters can blow sawdust or other debris which can be an issue if you're painting or staining. Some projects need time to cool down or have a high melting risk. If the heater is too close to the workstation it can affect the project. Plan the stations carefully so you and others don’t feel cramped. You can also use different heaters at the various stations. How often do you enter the garage? If you work in your garage almost every day, it’s best to acquire an energy-efficient garage heater. This ensures your electricity bill is not high at the end of the month. Radiant garage heaters are best for energy efficiency. You can also make use of propane or gas heaters. These are not connected to your home’s power. They can burn for hours but have fuel available for refilling tanks. The downside to these heaters is the fuel can be expensive. Choose the power of the heater based on how cold your winters are. If your winters consist of cold air yet the sun shines regularly, you don’t need a powerful heater. In these conditions, a garage that’s insulated is still slightly warm because all cold air is kept out and the sun heats up the building. If your heater creates very hot air your garage may become too hot. It’s also not energy smart to use a powerful heater. Snow, rain and cloudy days make your garage colder. A powerful heater is your best option then. You should choose a garage heater that has a good heating coverage based on the size of your garage. When you purchase a heater, the packaging indicates the power rating in the form of BTUs. The higher the BTUs, the greater the heating coverage. Small or one-car garages can make use of a 1.5kW heater. You can use radiant or infrared heaters because they warm objects rather than the space. Medium- to large-sized garages that fit two cars and more can make use of 4,000-5,000W heaters. This high power allows the heater to have a larger heating coverage. Always remember to factor in the height of the ceiling. If it’s high, you need a more powerful heater. Does the garage have electricity? Choosing a garage heater also depends on whether your garage has electricity or not. These heaters are generally safer because there is no fuel cylinder. However if your garage doesn’t have an electricity source, fueled heaters are best for you. They can be in the form of diesel, kerosene or natural gas. The advantage of these heaters is they can heat up large areas. These are mounted on the wall and deliver consistent heat from one location. It helps if you use less floor space and makes it safer because there are no cords running across the room. This is an affordable and energy efficient option. It heats up one area instead of the entire room. You can move it in, out and around your garage. Before you purchase the heater, you want to ensure it comes with safety features. If ever the heater is tipped over the switch will automatically cause the heater to switch off. This prevents the heater from burning or being used incorrectly which can be hazardous. This function turns the heater off when it becomes too hot. This will occur after prolonged periods of use and it prevents internal damage to the heater. The body of the heater won't get too hot. This guarantees people, pets and other objects won't get burned if they accidentally touch the heater. A heater doesn’t have to work overtime if there is no cold air in the garage. Keep the cold air out with insulation. With the best heater you can make your garage feel as if it were summer in winter. 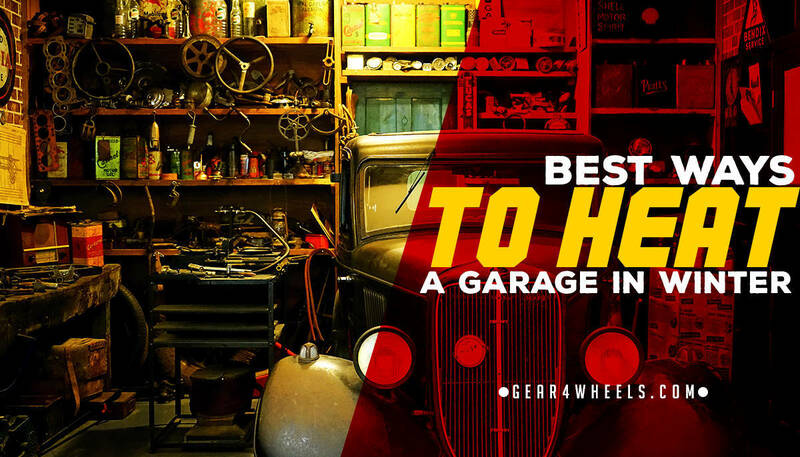 A warm garage during winter will help you to work more effectively. Install the best heater now before winter arrives.